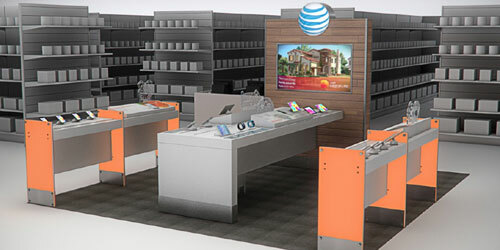 US telecommunications giant AT&T have announced plans to open 250 shops inside current Best Buy stores, which will offer their full range of services by the end of this year. By expanding our in-store presence and depth of products sold at Best Buy, we’re giving customers another convenient way to fully experience what AT&T has to offer. We look forward to everyone stopping by one of the select stores and seeing the new changes for themselves. 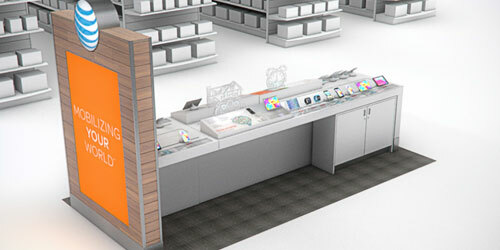 The spaces are starting to appear this month, with renders visualizing how things will look (above and below) aimed at pushing their Home Security and Automation service AT&T Digital Life, as well as giving Best Buy customers “a more personalised connected life experience”. You can find out more about AT&T’s partnership with Best Buy on their blog HERE.